MGySgt (Ret) James Edward Drum. Sr.
Emerald Isle-Vietnam Veteran, retired MGySgt. 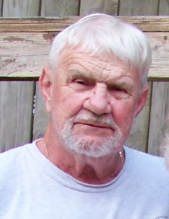 James Edward “Jim” Drum, Sr., 83, passed away peacefully Sunday December 2, 2018 at his home in Emerald Isle, NC. Jim, one of two children, was born October 26, 1935 in Neptune, NJ son of the late, James Franklin and Ruth Tilton Drum. He enlisted in the USMC in 1954, and soon after married the love of his life, Barbara Ann Waltsak of Manasquan, NJ. After 25 years faithfully serving his country Jim chose to retire in Jacksonville, NC. Not one to be inactive, Jim continued to work a second career with civil service at the United States Naval Hospital Camp Lejuene. Finally, Jim decided to play golf. For over forty years, Jim could be found teeing off on numerous golf courses up and down the east coast. He usually played with the same retired vets whom he had known for years. During the month of November, Jim and Barbara would travel to Florida so that Jim could play in various tournaments. This traveling also allowed the couple opportunities to go on cruises, something they both had wanted to do for a long time. Jim also enjoyed fishing and spent many hours at the Bogue Inlet Pier, teaching both his children and grandchildren to fish. Jim was a loving father, and grandfather. He was known to have a great sense of sarcasm especially when it came to something that required the patience of others. Jim is survived by his loving wife, Barbara of Emerald Isle; son, James, Jr. and Cindy Maners of Havelock; daughter, Gina and husband, David of Carolina Beach; son, Jeff of Jacksonville; and son, Jon and wife, Kris of Clemmons. He also leaves behind grandchildren, April, and husband, Brandon Whedbee; Noah, Gabrielle, and Jonathan Drum; and Sailor, Summer, and Tanner Drum. Jim was also a great-grandfather to Anderson and Crosby Whedbee, and Lucas Benton. Preceding Jim in death was his sister, Helen Campbell of NJ, and his grandson, Nicholas Benton of Carolina Beach. A graveside memorial service with Military Honors will be held Friday, December 7, 2018 at 12:00 PM at the Coastal Carolina State Veterans Cemetery with Father Don Baribeau officiating. In lieu of flowers the family is requesting donations be made in Jim’s name to St. Mildred Catholic Church’s Building Fund in Swansboro, NC.